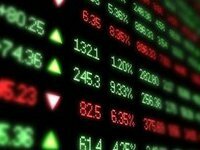 Univer Capital investment group has completed the purchase of 23% in PJSC Ukrainian Exchange (Kyiv) from Moscow Exchange (Russia), according to the website of Univer. According to the report, the group was transferred property rights to 100% of the shares in PJSC Ukrainian Exchange Holding (Kyiv), which owns about 20% in Ukrainian Exchange and directly holds about 3% of the stock exchange. Univer transferred these shares to its customer's account on March 9. Other details of the transaction have not been specified. As reported, the National Commission of Ukraine on Securities and the Stock Market at the end of December 2015 permitted British company Teta Partners Ltd, affiliated with Univer Capital Group, to acquire an indirect significant stake in Ukrainian Exchange.